The dream chooses the dreamer, not the other way around, and Lazlo Strange, war orphan and junior librarian, has always feared that his dream chose poorly. Since he was five years old he's been obsessed with the mythic lost city of Weep, but it would take someone bolder than he to cross half the world in search of it. Then a stunning opportunity presents itself, in the person of a hero called the Godslayer and a band of legendary warriors, and he has to seize his chance to lose his dream forever. The answers await in Weep, but so do more mysteries, including the blue skinned goddess who appears in Lazlo's dreams. How did he dream her before he knew she existed? And if all the gods are dead, why does she seem so real? Lazlo is a lover of words and the dreamer of dreams. Abandoned as an infant, Lazlo spends his days as a junior librarian by immersing himself in the history of Weep, a mystical Unseen City that has borne legends and heroes. It's been fifteen years since the God's we're banished and now the Godslayer has arrived in Zosma, seeking alchemists, scholars and the great minds of the Pavilion of Thought. Lazlo has breathed Weep for seven long, illuminating years and is about to embark on a arduous journey across the country to solve the mysteries of The Unseen City. Sarai is a survivor, only an infant when her world was decimated and left suspended within the Unseen City. Unlike her fellow surviving Godspawn, Sarai's gift allows her to explore the city and interact while Weep falls under the slumber of night. When the Muse of Nightmares eases into the unconscious mind of Lazlo Strange, what she encounters will leave her breathless. 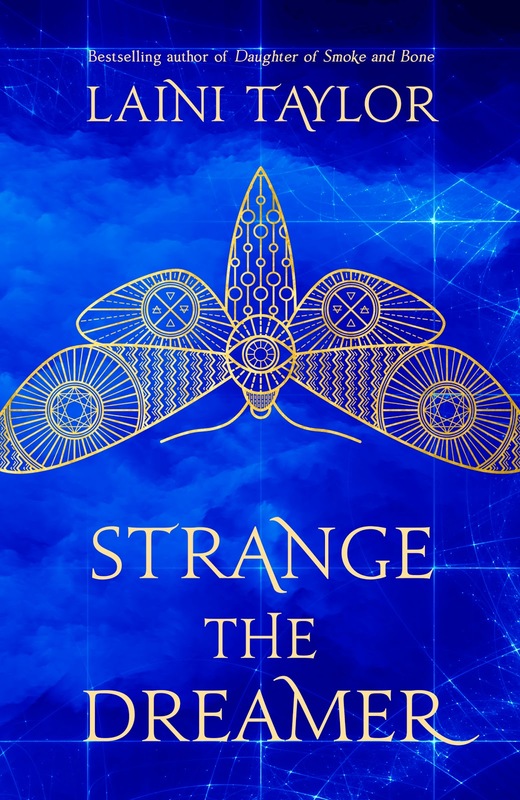 Abandoned Lazlo Strange was utterly delightful, a charmingly innocent and kind hearted young man who is consumed with the mystery of The Unseen City. Spending his days as a junior librarian, Lazlo breathes history, foregoing his adolescence for the inked pages of a land lost to time. Demure and intelligent, Lazlo is determined to accompany the scholars and alchemists to uncover the secrets of Weep, a half yearly journey and coming of age for the charismatic librarian. Surrounded by warrior escorts, Lazlo shares his journey with Thyon Nero, an entitled young man praised for his fraudulent alchemy. Lazlo and Thyon are rivals, while Lazlo has a warm and gentle disposition, Thyon is guarded and sees Lazlo as a nemesis, questioning the librarian's motives. As a secondary character, Thyon was wonderfully developed which allows readers to engage with his character beyond his bravado. Sarai is a young woman trapped within the mausoleum anchored to the sky above Weep. Also orphaned as a child, the massacre that slain her family resulted in a world suspended in time. Sarai's character is enchanting. Each evening retiring to her room to explore the city, a silent scream releasing her vaporescent moths into the night to perch on the brows of sleeping residents. Sarai's slain mother is the Goddess of Despair, both young men and women of the Unseen City were taken and brought to the citadel, kept as companions against their will and creating a new generation of Godspawn. Sparrow who tends to nature, Feral who can control the weather, Ruby and the malevolent Minya, who captures the souls of the dead and uses them for her amusement. Minya was an interesting character. Although suspended in the body of a child, Minya is a militant leader who commands respect. Although she wants to protect the citadel, Minya is a warmonger and prepares her ghostly souls to slay the humans who threaten their existence. Including Lazlo. The connection between Sarai and Lazlo was lovely. The Muse of Nightmares and The Dreamer, Sarai has never experienced vivid visions of her city as seen through Lazlo's imagination and is enamoured. Their connection was gentle, tender yet incredibly passionate. Strange The Dreamer is lyrical, consuming and atmospheric. Laini Taylor has transcended young adult fantasy. Beautifully. Immaculately. Ethereally. This sounds so interesting and different I can't wait to read it! I pre-ordered the pretty copy so hopefully it comes on time xD Great review! I did too Casey, the first print edition with the sprayed page edges and title page. I can't wait until it arrives! OMG SO GOOD TO HEAR YOU ENJOYED THIS KELLY! I cannot wait to read it because I am craving a rich fantasy atm so hopefully I get around to this soon! Great review! It's immaculate Anisha, so incredibly atmospheric. Not long to go until it's being released. Looking forward to seeing what you think of it. This is such a lovely review, Kelly. I was excited for this and decided to give it a shot, but the writing just wasn't working for me. I have noticed in the past that lyrical prose tends to distract me and that definitely happened to me here. I did really like the little bit of Lazlo that I got to see. Maybe, I'll try to give it another chance when I have some free time. I struggled a little at the beginning with just trying to understand what was going on but the further I read, it all started to click into place. I loved the lyrical prose. I thought Lazlo's chapters were stronger and more engaging though. I do hope you'll give it another try Nick, I think you'll really enjoy it. I still need to read Dreams Of Gods and Monsters. Is this from the same world? I love her writing. Entirely different world Karen, but the same lovely, lyrical style of writing. 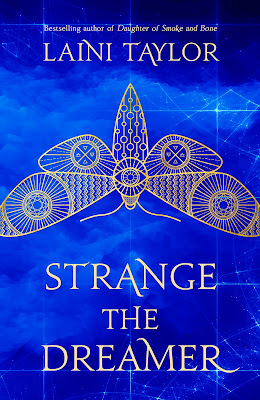 I adored her Daughter of Smoke and Bone series too Karen, hopefully you can find the time to finish it soon and grab a copy of Strange The Dreamer, it's magnificent! I'm so excited for this one. I LOVED her Smoke and Bone books. I actually got one of those sets with all three of the hardback books because I'd originally read them as library books. Her books just demand to be owned. I'm really glad you loved this one. I can't wait to see what you think of it Lauren, it was absolutely beautiful. Both the UK / AUS and US book covers are incredible Michelle, such a wonderful read! A character that's a lover of words can only be immortalized by Ms. Taylor herself. She's a linguistic genius. Intimidated by this book, btw. She truly is Joy. It's such a big book both literally and figuratively, but once you fall in, you'll be utterly enchanted. You'll adore it Zoe, I can almost guarantee it. It takes a little while to get into it, which I find is the case with me and most fantasy but after a few chapters, I couldn't put it down. it's just so, so lovely Prabhleen, can't wait to see what you think of it! Breathtaking is the perfect word to describe it. Lyrical and so lovely. It's just beautiful. Definitely stick with it Ailyn, the beginning can be a little confusing but then it all clicks into place within a few chapters. It's absolutely magnificent, it'll be one of the books of the year most definitely. Such perfection. I haven’t read her Daughter of Smoke & Bone trilogy yet. I have so many series on my tbr-list. I only I had time to read them all. Sigh. It sounds like Laini Taylor writes very atmospheric stories. I hope I’ll find time to read one of them this year. Beautiful review, Kelly! Thanks Ksenia. Her writing is absolutely beautiful, by far the most immersive young adult fantasy author. Thanks Aleen, it's a wonderful read. I'd love to see what you think of it. I’m so excited and I just can’t hide it. I’m about to lose control and I think I like it!!! Awesome review - and you were worried about not getting your words together! I was excited to read this book before and now i'm looking crankily at the two books I still need to read before I start it! AHHHHHHHHH I'm going to have to order Shane to take some time off so I can go and lock myself away to do nothing but read. That sounds perfect and you'll need a few days yo get through this one and fully absorb how beautiful it is too. You'll love it Sarah and I can't wait for you to read it! I can definitely tell you absolutely loved Strange the Dreamer as well Kelly! How freaking amazing were the characters, Lazlo, Thyon and Sarai were all fascinating in their own right. Lovely review! They were all absolutely amazing weren't they, and so lovingly written. I loved Lazlo especially, such a mind hearted character, he was absolutely lovely. So glad you enjoyed this one too Jeann. Bring on book two! I'm that lame person who still hasn't read any Laini Taylor ): but this seriously sounds amazing! So glad to hear you loved it! The characters sound great. Lovely review, Kelly! This would be the perfect book to start with Cyn, she's such an amazing and atmospheric author. I'd love to see what you think of it. I don't even know how to review this book, it was so beautiful. You've done a good job though! It was difficult, I'll tell you. So, so beautiful. This book is so hard to capture in words, it's like trying to remember the true name of Weep (ooo I am totally going to use that line in my review now XD!) But you did a marvellous job conveying why it was so wonderful. Pretty sure it's going to be one of my favourite books of the decade. Laini Taylor, why are you so good! Thanks Aentee. It was so difficult to review and capture how beautiful it truly is. It's one of those books you could just shove at people, tell them it's Laini Taylor and readers will flock to buy a copy. Mine too Mollie, I absolutely adored it!